Short On Dorm Decorating Ideas? Go Animal Print! Not sure how to decorate your dorm? Dorm decorating ideas, if you think too hard, can start to put added stress on your brain—save that for classes. So go with what you know. If you’re a fan of animal print, an animal print dorm room is a no brainer for your college decor. DormCo has tons of animal-print products that are also useful dorm products and everyday items for college that you’d buy anyway. When college shopping, you know what dorm essentials you’ll need. So as you start adding to your dorm shopping checklist, start to think about which items can be purchased in animal print. First and foremost, dorm bedding with animal-print decorations is a must! Check out our leopard-print and other animal-print comforters! All of our comforters for college are designed to fit Twin XL dorm beds, as that’s the size you’ll need for your college bedding. When it’s time to hit the shower in the morning, do so in style. From zebra-styled shower shoes for girls to other animal prints, you can walk on the wild side every time you wear your shower sandals. Cheap shower flip flops for college are dorm essentials, so why not make them look great too? 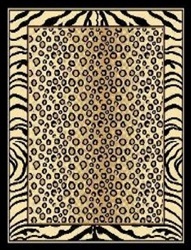 And when it comes to decorating your dorm, an animal print rug is a must-have dorm item! No, we don’t go on safaris and bring back real tiger-skin and lion-skin rugs, but our animal-print rugs for college are just the area rugs to bring the familiar design of animal print to your dorm decorations. Animal-print college decor provides recognizable decoration but always comes with a twist of edgy, cool style. There’s almost no limit to the animal-print dorm supplies out there for you. 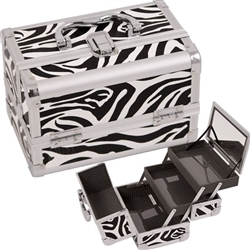 Even mundane college supplies like cheap hampers and cosmetic cases can come in animal print designs! Go ahead and browse and see which animal-print college supplies are on the prowl!